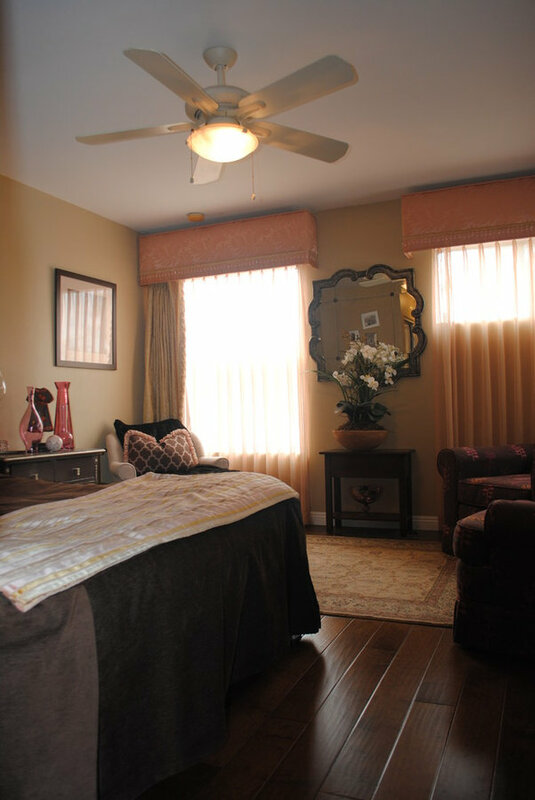 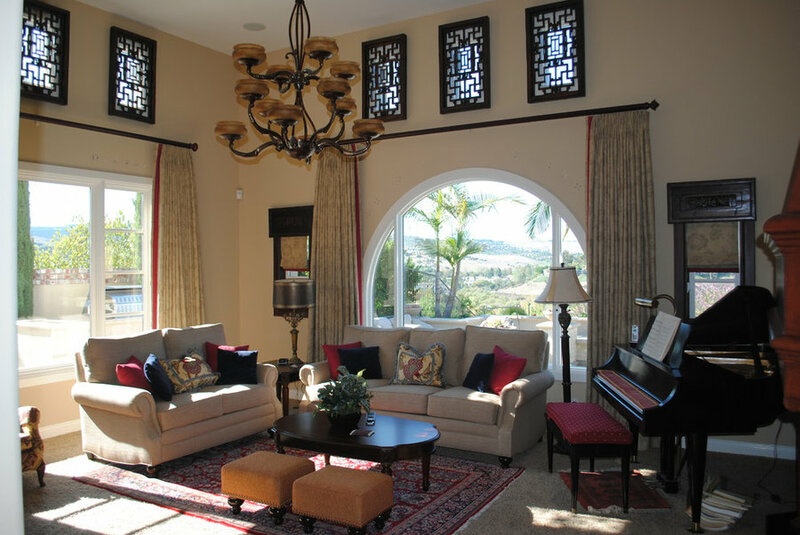 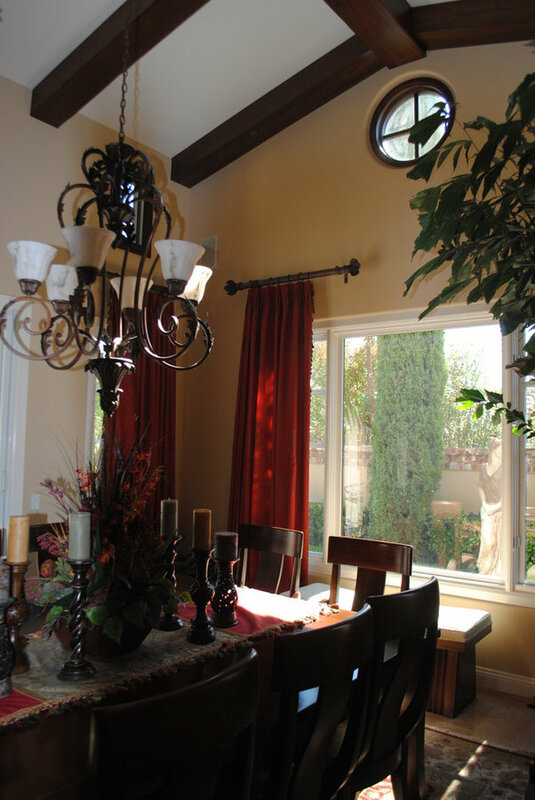 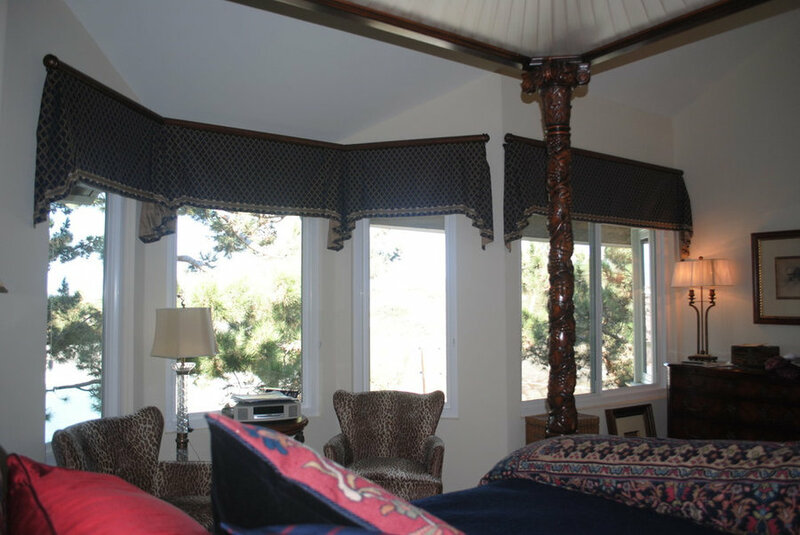 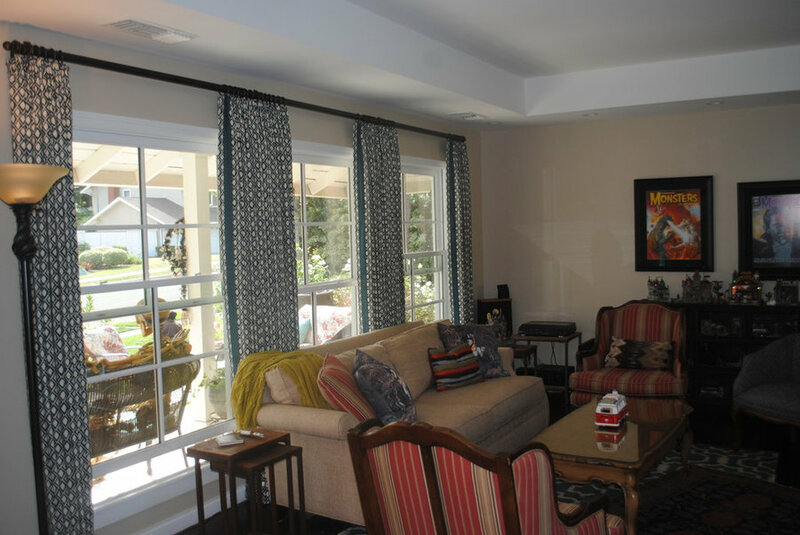 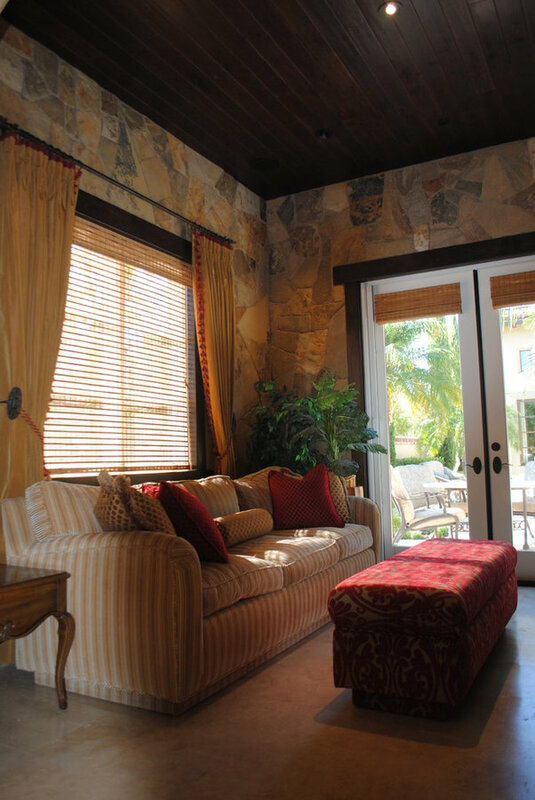 Many different window treatments in many homes. 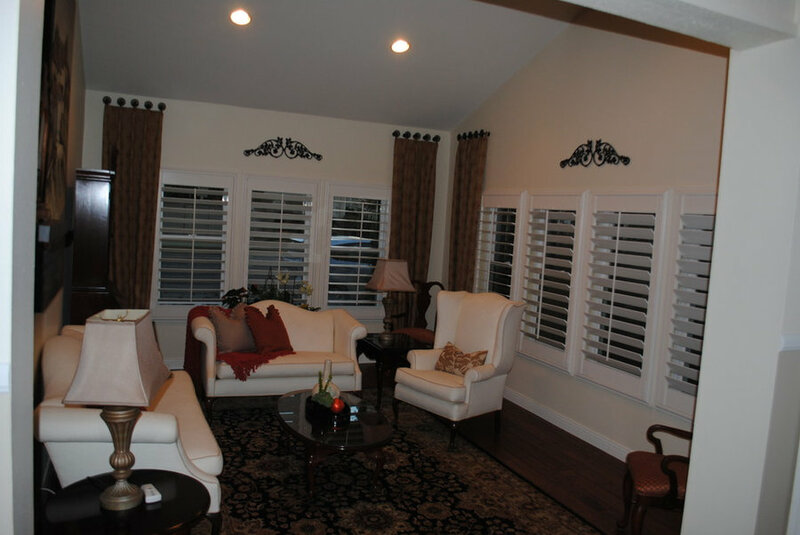 All are custom. 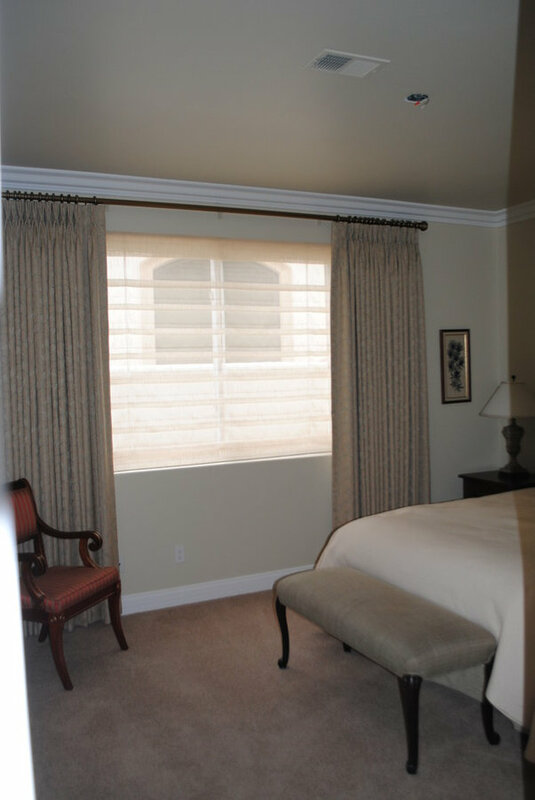 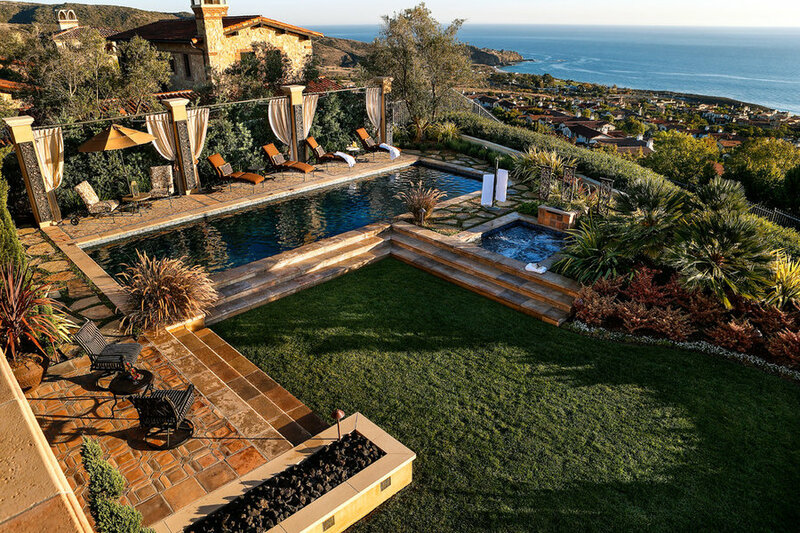 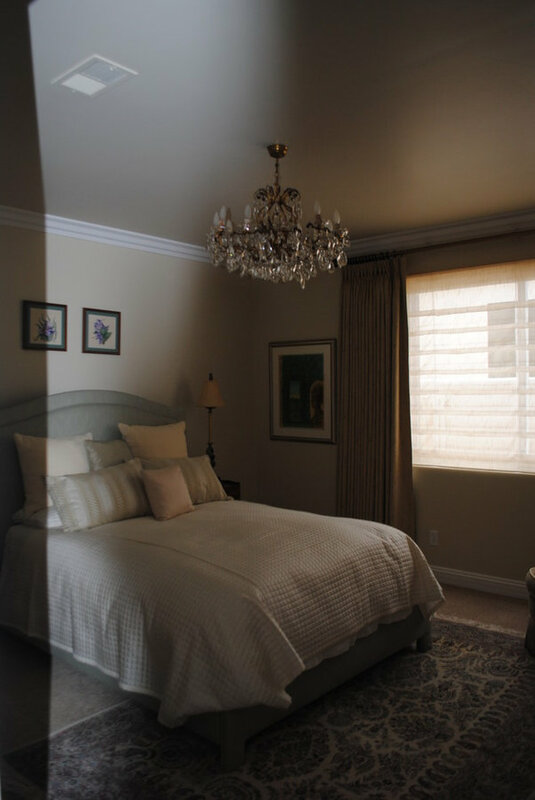 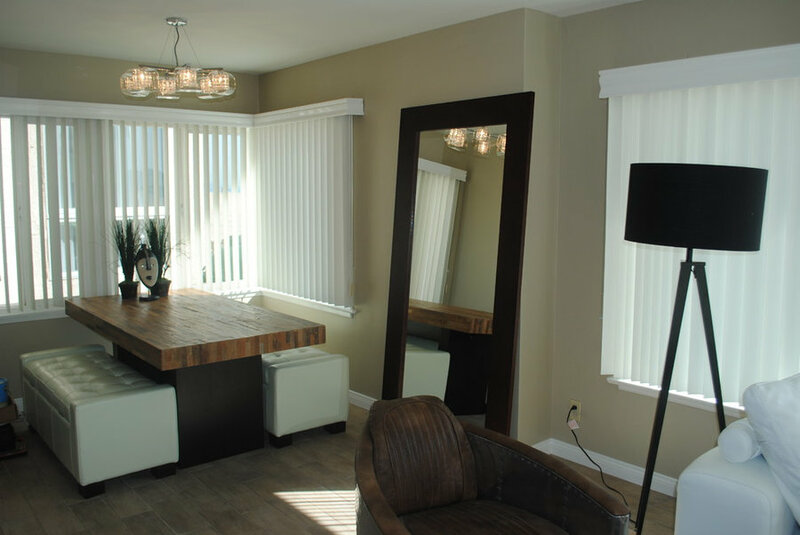 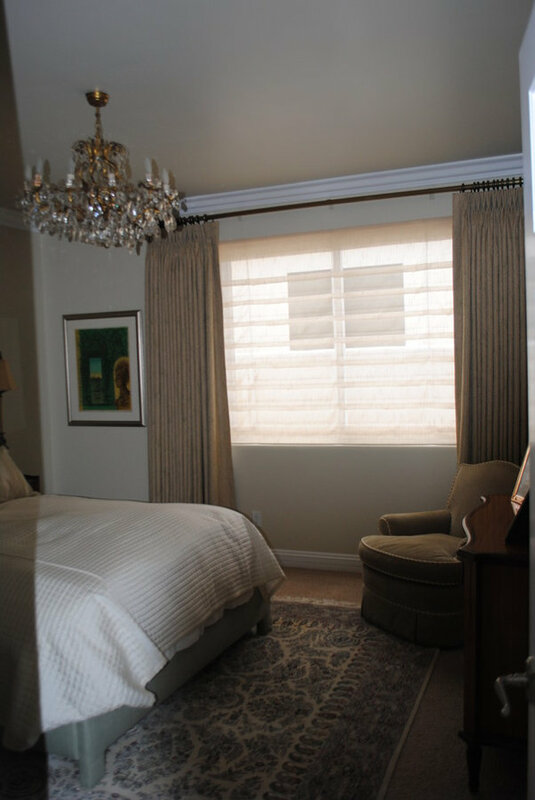 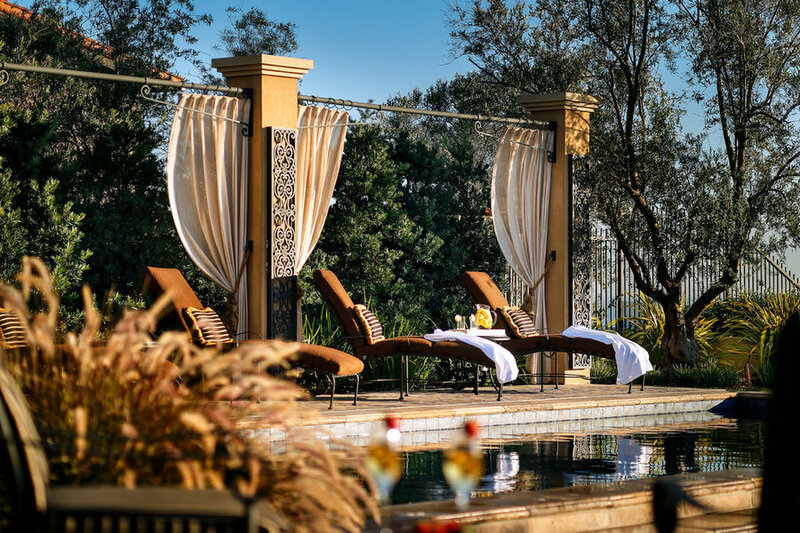 Some provide glare protection, motorization, privacy and blackout. 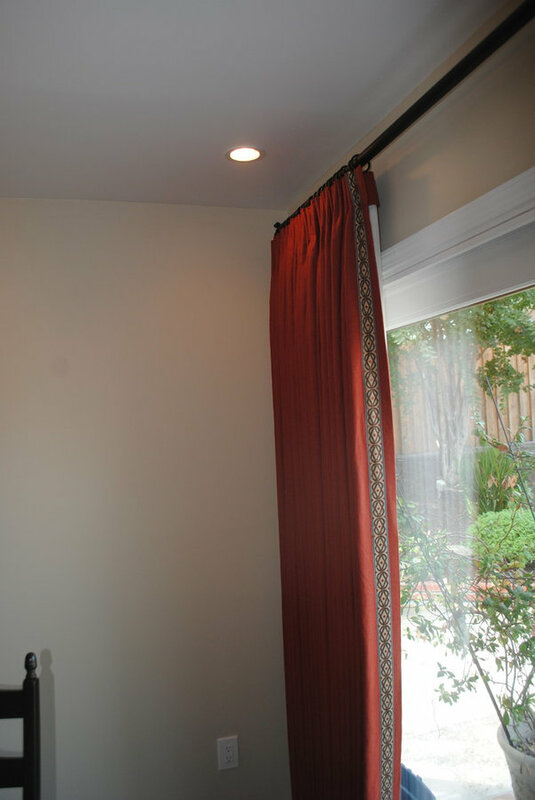 Imagine this room without the beautiful drapery panels. 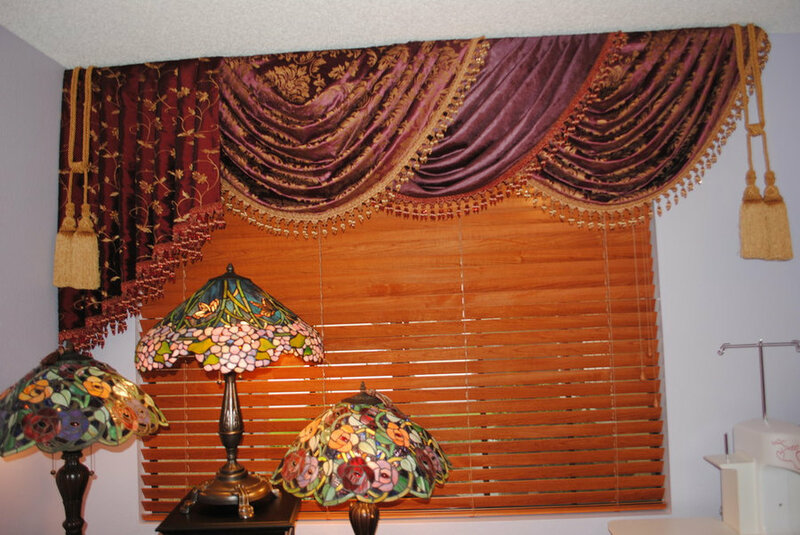 Drapery really does add the finishing touch! 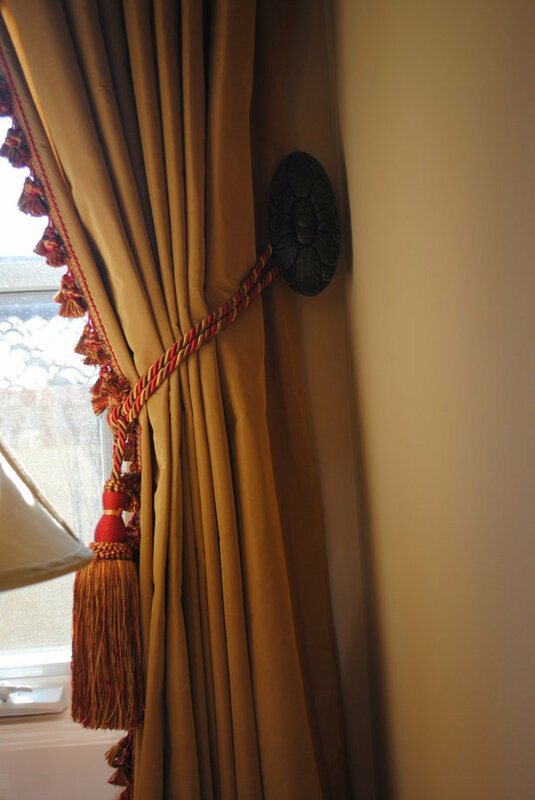 The decorative trim on the drapery panel pulls in the colors from the adjoining living room with the band of trim.